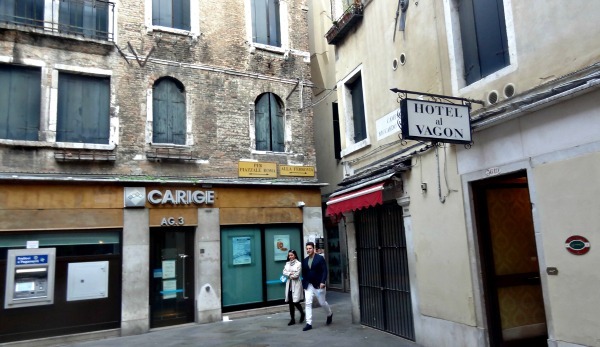 Review of Hotel al Vagon ; My Venice Italy trip! 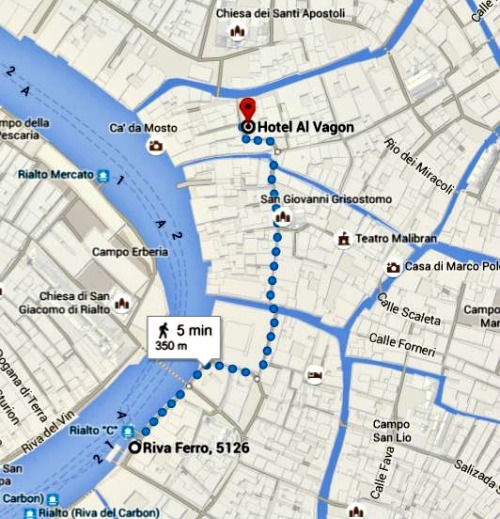 I booked Hotel al Vagon when I needed a good hotel when I joined the Venice Marathon. 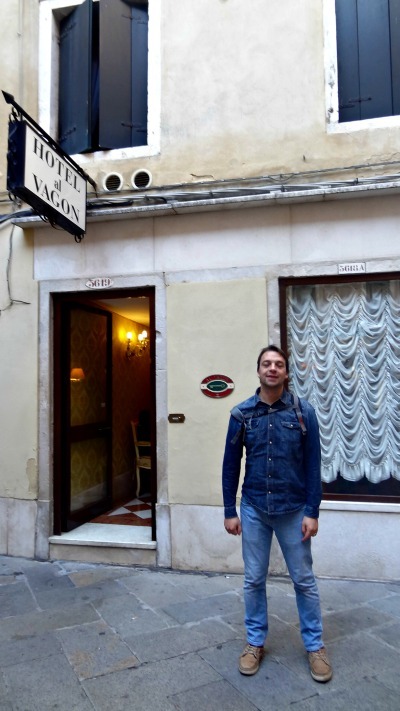 The start of the marathon is 2.5 miles outside Venice but, for me was a hotel in the center of Venice very important. The hotel is fairly cheap and very comfortable. When entering the hotel you will see a simple reception and on the right the stairs. 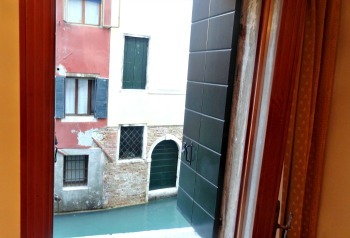 I had room 29 overlooking the canal 'Santi Apostoli. This is one of the largest rooms. There is another spacious room but the view is not as good as room 29 because you are overlooking a small square in front of the hotel. My room had a classic Venetian style with a king-sized bed, private bathroom with shower, satellite TV and plenty of space for luggage. Handy is also the hotel's good Wi-Fi connection. I had no problem logging in. The staff at the front desk were very friendly. Every time when I went out I left the key with somebody behind the front desk and 24 hours a day someone is present. In the night, the door is locked, but by ringing the bell they recognize you and let you inside. There is no breakfast at this hotel. But I did not mind, because in Venice you can easily buy your own breakfast in the morning or in the evening before bedtime. I had a 3 night stay and my fare was in total € 432 -. This was during the Venice Marathon from Friday until Monday October 23 – October 26. All summarized, it has been a very good hotel. The hotel room was clean, I had a canal view and the location was ideal. I could explore everything around the Rialto and eat in the fantastic restaurants / bars in the area. During the day you will be wandering in Venice and exploring the city. Such a hotel is very comfortable after a day of intensive Venice and a marathon of course ;). In my opinion the price / quality ratio therefore is positive. From Marco Polo Airport, I took the Allilaguna boat to the Rialto and from there it is a 7-minute walk to the hotel. Sounds simple, and I am experienced in Venice. But still, you can get lost in the narrow alleyways, crooked bridges and being impressed by the tourists. Arriving on the small square and on the left you see the sign with all Hotel Vagon. Read more details about al Vagon and book it right away! You've read about hotels in Venice. There is plenty to explore. Read my site and get more information about this beautiful Italian city. Return from 'Hotel al Vagon' to 'Venice Italy Hotels' where you can find the best hotels in and around Venice.